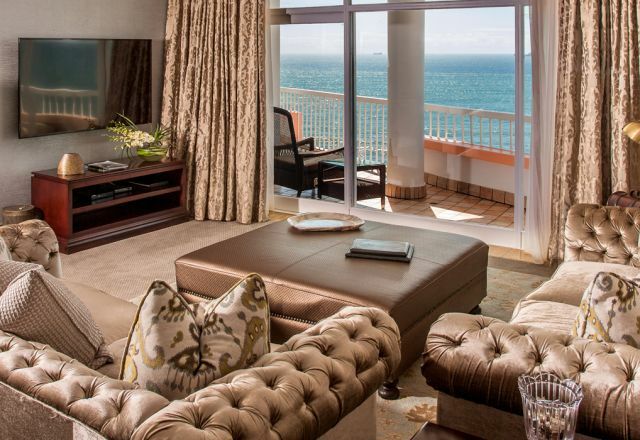 The Beverly Hills presents iconic and timeless luxury accommodation in uMhlanga. 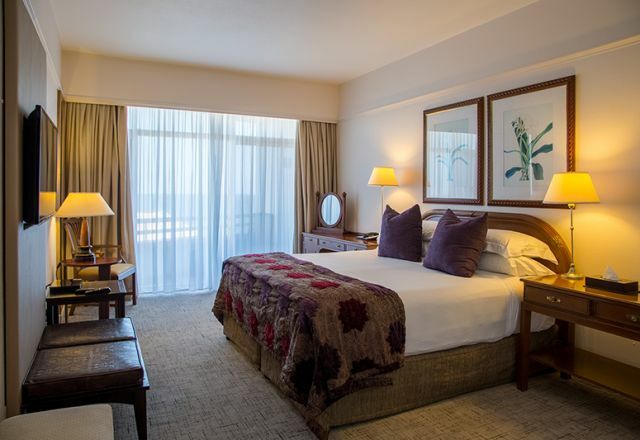 Guests can choose from a range of comfortable, elegant rooms all providing uninterrupted views of the beautiful Indian Ocean, and golden beaches. 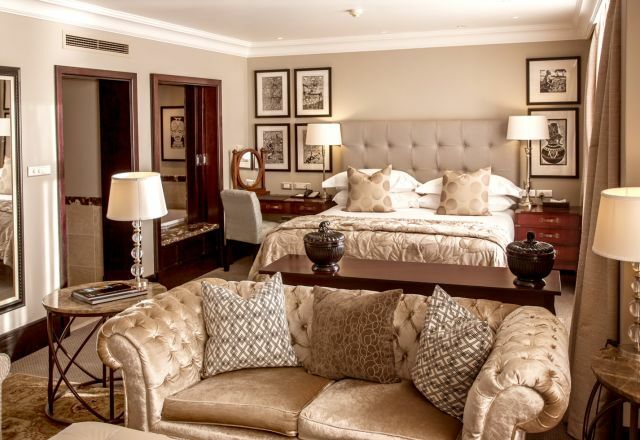 During your stay you can be assured of comfort, and privacy, with rooms that reflect a philosophy of gentle luxury. Distinctive finishes, and an atmosphere of old-world opulence, contribute to the relaxation and enjoyment of our guests. 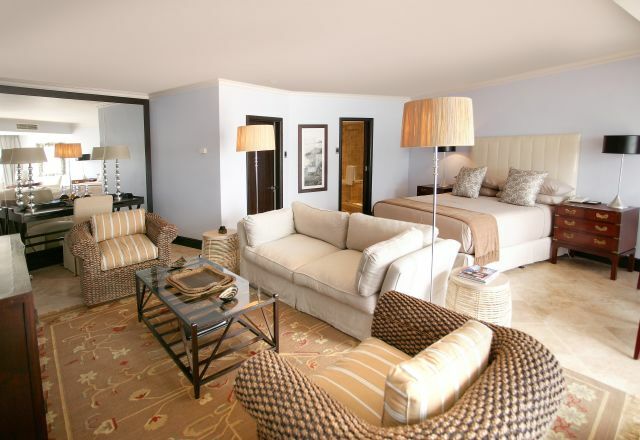 The Beverly Hills Hotel in uMhlanga offers guests a choice of 89 well-appointed en-suite rooms. Each guest room offers a range of amenities which include an executive desk, complimentary WiFi, a coffee machine, flat screen TV and DVD, direct dial phone, fax and modem plug points, electronic safe, and more. In addition, a porter service, valet service, and 24-hour room service ensures that every need is met. 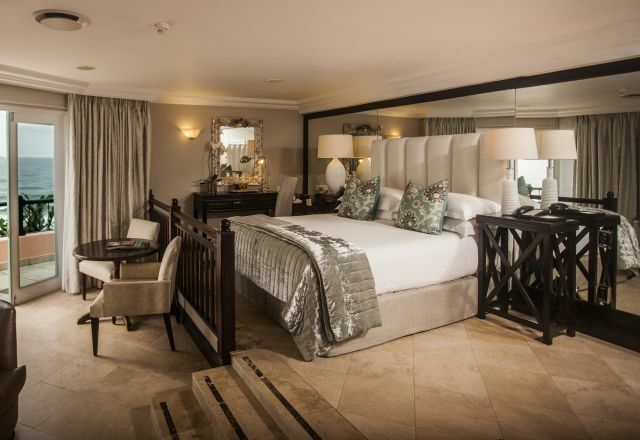 We look forward to welcoming you in person to our boutique style luxury accommodation in uMhlanga. Smoking and interleading rooms are also available on request. 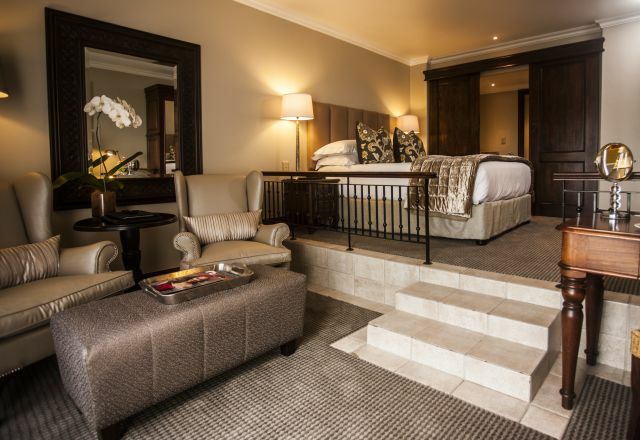 Tsogo Hotel Rewards members enjoy 10% discount on accommodation and much more. If you are not yet a member, sign up now! 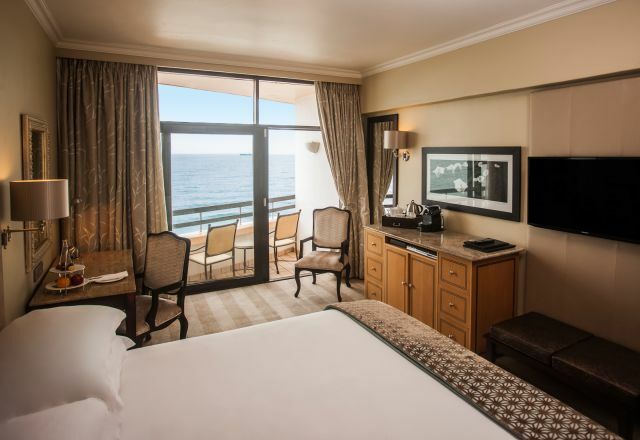 Standard rooms at our luxury beach hotel in uMhlanga are sea-facing, and feature an en-suite bathroom and private balcony. Rooms enjoy luxury amenities, spectacular sea views and are situated on either the pool or lobby level of the hotel. Situated on the pool level, Cabana 1 has a spacious bedroom, lounge area and en-suite bathroom. Feature a private balcony with uninterrupted sea-views as well as a spacious bedroom and lounge, an en-suite bathroom and a walk-in dressing room. Cabana 10 is situated on the upper terrace level and offers an expansive private patio, bedroom, lounge and a lavish en-suite bathroom. These are situated on the corners of the 8th floor of the hotel and feature generously sized living and sleeping areas along with a dining area. Be pampered in style and comfort in this one-of-a-kind studio.